Canada is beginning to wake up to the fact that bringing in unvetted refugees from Middle Eastern countries such as Syria, may be a very bad idea. 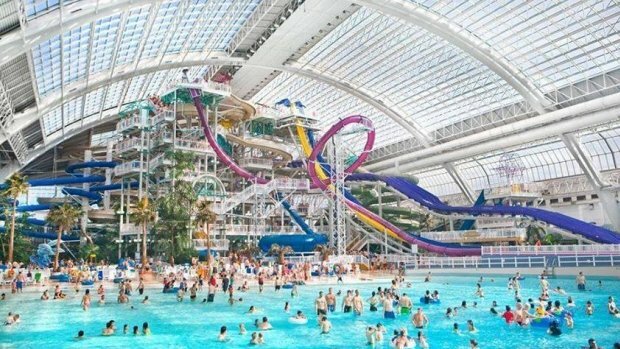 A Syrian refugee last weekend sexually assaulted six teenage girls at West Edmonton Mall water park. They can thank Justin Trudeau and their other progressive leaders who cared more about open borders and globalization than whether who they were letting in posed a danger to the public. Anti-immigration and anti-refugee groups are up in arms over this and I don’t blame them in the least The facility where this happened is owned by Mennonites, who are very peaceful and non-violent, but far too trusting. They say things are really beginning to turn ugly in Canada over the whole refugee crisis. No surprise there. People are angry and scared and they should be. Six girls sexually assaulted by one guy on one day? That’s horrendous. Soleiman Hajj Soleiman, 39, was arrested Saturday and charged with six counts of sexual assault and six counts of sexual interference after six teenage girls, all younger than 16, told police they were inappropriately touched while swimming at the West Edmonton Mall water park. I’m surprised parents with pitchforks and torches haven’t stormed the facility. Reports that a man accused of sexual assaults on six Edmonton teenage girls was a Syrian refugee have ignited a firestorm of reaction, from anti-immigration diatribes to criticism about how the media dealt with the story. Groups that work with refugees in the city have been inundated with calls and texts over the past 24 hours, some from people calling for an end to the refugee program and others from refugees themselves apologizing on behalf of their community. Erick Ambtman, executive director of the Edmonton Mennonite Centre for Newcomers, said his organization received a message on Twitter from a white supremacist group that included a picture of a Syrian refugee, asking the centre to confirm whether the photo was the same man accused of the crimes. “It may be just to scare us or to unnerve people,” Ambtman said. “But around my office that’s what’s happening. People are starting to get really nervous, and the [English] language students are starting to get really nervous. “And the Syrian students are apologizing for somebody who they don’t even know, because he’s got the same country of origin as they do. One more complainant and another witness have stepped forward since charges were filed. The man charged in the case was a Syrian refugee who arrived in Canada in January of 2016, a fact that was reported Wednesday by numerous news outlets, including CBC News. Then the outrage started to step up and spiraled into a frenzy. You can hardly blame people for that… but the media tried to blame it on what they termed ‘alt-right’ sites and anti-immigration groups. Muslims of course are saying that it is being used to unjustly vilify an entire community. The media wants to remove the words ‘Syrian refugee’ because it is just a ‘local crime’. All crime is local until the crime is caused by the government. The government there in Canada brought refugees in and did not vet them or screen them. It is the media’s job to report on the facts. Leaving out the fact that a Syrian refugee did these horrific acts is censorship and puts the people at risk. Soleiman came to Canada in January 2016 with his wife and six children, aged one to 13 years. The family was assisted by the Mennonite Centre. I’m almost as horrified by the fact that the government and the media are saying that this has nothing to do with refugees, as the fact that one of them sexually assaulted six young girls in one day. It’s not just a crime… it’s a crime of the government’s own making.